I don’t typically follow Inktober’s prompt list, but I thought Byron Buxton fit ‘SWIFT’ quite well. Minnesota’s star center fielder is currently one of MLB’s fastest players – according to StatCast™. With speed like that, Bux makes fielding fly balls and line drives look about as effortless as shoe-tying. Offensively, he’s sitting pretty with 28 stolen bases, having only been caught once. 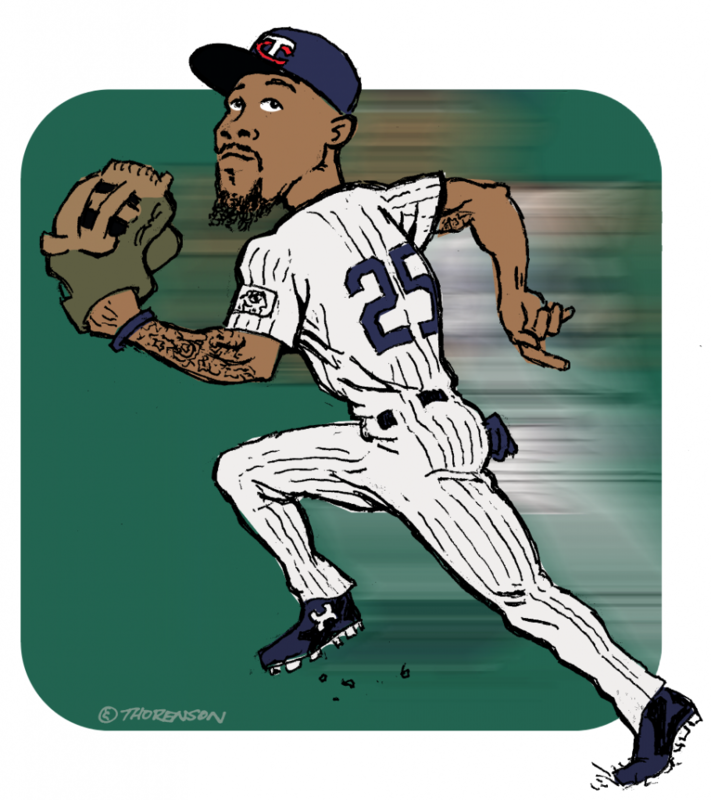 This entry was posted in baseball, Inktober, running, sports and tagged Byron Buxton, Minnesota Twins, swift by Sean Thorenson. Bookmark the permalink.